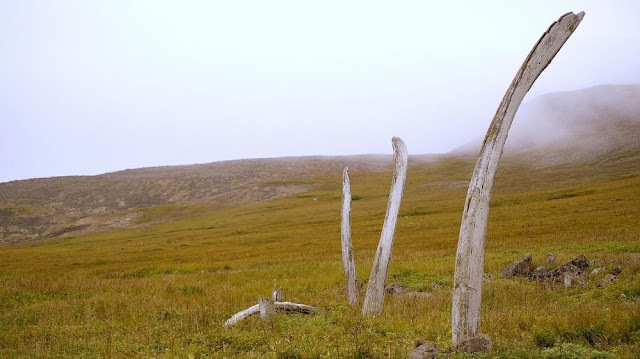 Along the northern shore of the remote Siberian island of Yttygran, in the Bering Sea, is an area known as the “Whale Bone Alley”. 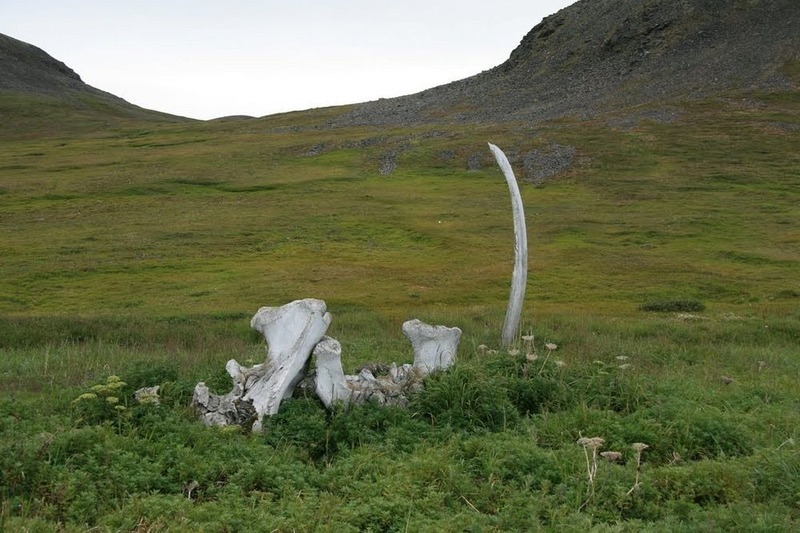 Forty years ago, Soviet archaeologists here discovered dozens of bowhead whale bones, and skulls carefully arranged in the ground stretching for 550 meters and running parallel to the shore. 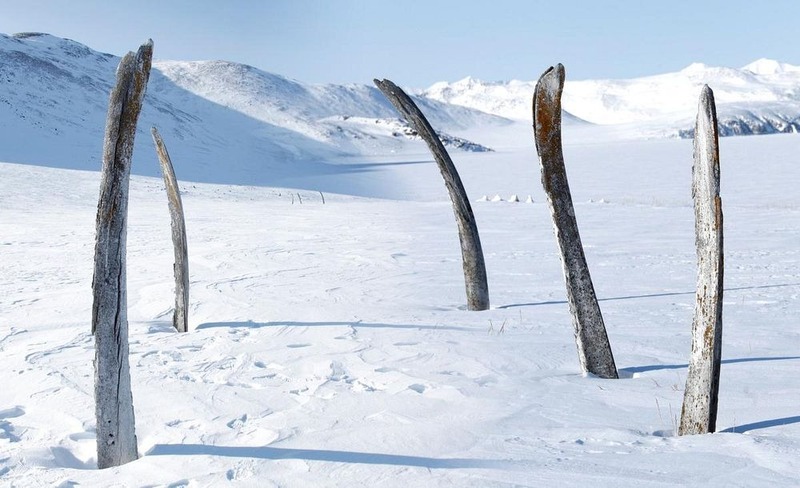 The rib bones are either stuck into the ground or propped up by rocks in a double line to form a sort of alley. 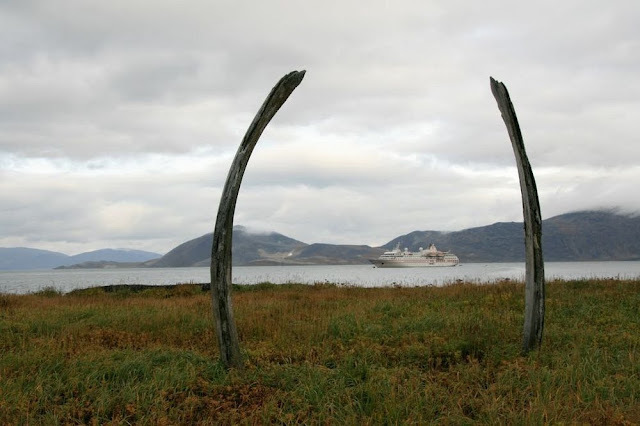 Down the middle of the alley were huge skulls and square pits once thought to have contained tons of meat. 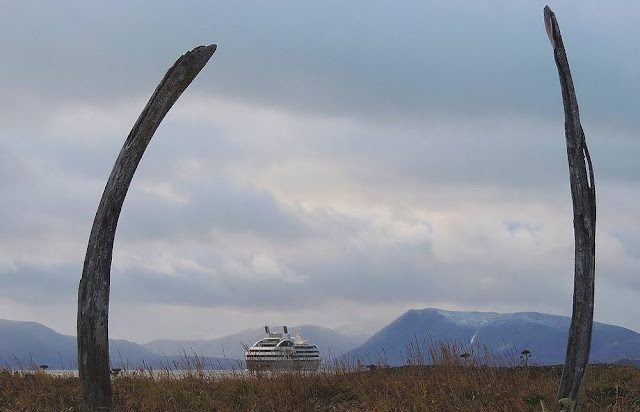 Archaeologists believe that the Whale Bone Alley was built as a shrine and sacred meeting place by the Eskimos in the 14th century. At that time there was a temporary ice age, that resulted in prolonged winter and food shortages which could have led to conflicts between Inuit tribes. 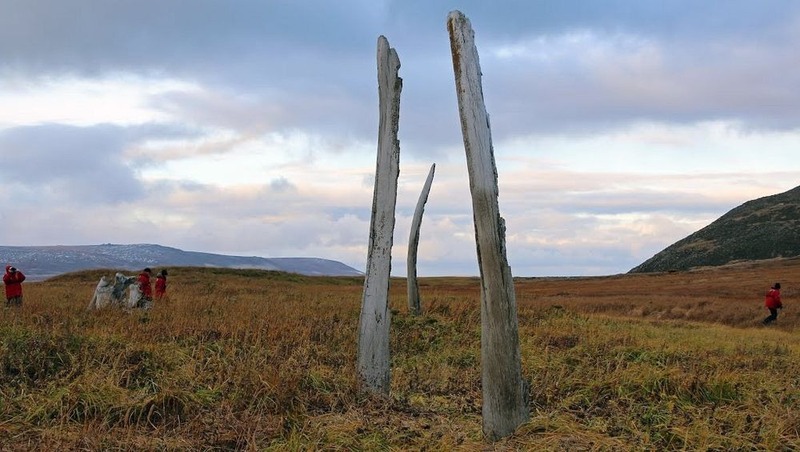 Whale Bone Alley may have been the neutral place where they could come together to discuss their problems, take part in sacrificial offerings and store their meat in the square pits that once existed between the bone walls.